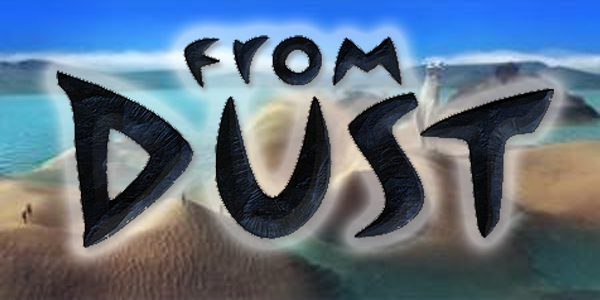 From Dust is the geo-centric strategy/god game brainchild of storied game designer Éric Chahi. It marks Chahi’s long-awaited return to the industry and—perhaps more importantly—helps fill the gaping void in quality strategy games for downloadable platforms. When you take the reigns, a small human society is striving to recapture the ways of the Ancients: musical powers that enable the people to build villages, sculpt the earth, and protect themselves from the perils of nature. You control the Breath, a mystical power that enables you to manipulate earth, lava, water, and trees—all of which can be used to guide the earth’s inhabitants to establish new villages and acquire the songs that will protect them. The powers you wield are the heart of From Dust and the thing that makes the game so intriguing. The primary story mode is broken into several levels; you use your powers to encourage people to build a village at each totem in order to open a passageway that will take them (and you) to the next area. Each area has its own challenges and surprises: tsunamis, volcanoes, tides, and more. Each area also gives you a unique tool set with which to change the landscape and aid your people. If you want to delve deeper into the mythology of From Dust, you can unlock special “memories” that are logged in a journal, enabling you to read up on the people, their culture, and their music. Sumptuous physics-filled eye candy – By now, you’ve certainly seen your fill of concept art, screenshots, tech demos, and gameplay footage. So, it should come as no surprise that From Dust is one of the most visually stunning games on Xbox Live. Believe us when we say that the impact is not diminished as you play. The player’s relationship with geology is out of this world (pardon the pun). The visual artistry of the gameplay is so beautiful and so seamless that it is utterly unparalleled in gaming. There’s ear candy too! 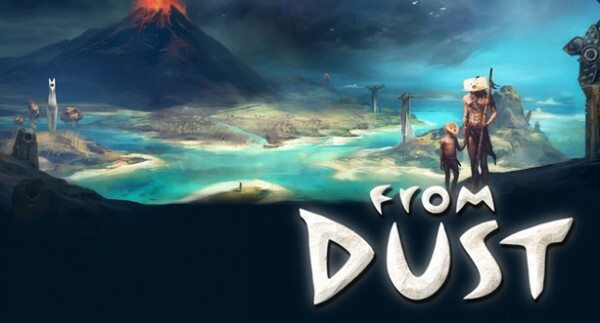 – The unsung hero of From Dust is the game’s powerful sound design, which includes a rich portrayal of the sounds of the earth and a soundtrack full of earthy music. The sound and feel of volcanic eruptions and tsunamis is like putting a stethoscope to the land. But the real star is the haunting music that the people use to raise new villages and protect themselves from natural disasters. The combination of sound and music is incredibly effective. 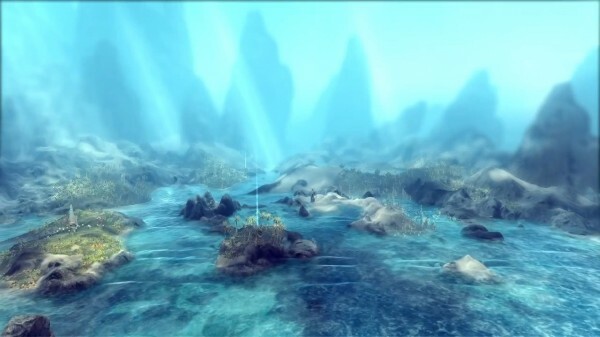 Finis – It’s not often that gamers or game reviewers praise the end of a game. Typically, this kind of compliment is reserved for dramatic twist endings revealed in a complex cinematic drama. In From Dust, there is no climactic cutscene, but the ending is dramatic and exciting. The story unfolds through gameplay itself, and the main character is not some angsty unlikely hero or a grizzled soldier—it’s you. The player is simultaneously actor and audience, with the ability to sculpt the story (and the earth) and the ability to witness the effects of this profound power. You are more powerful than ever and, despite a long line of intriguing story missions, it’s the last mission that you’ll keep coming back to. Lemming AI – Speaking of lemmings… in both story mode and challenge mode, we would occasionally find ourselves struggling with uncooperative earth-bound inhabitants. We would spend ten minutes crafting the perfect path to the next totem, only to have prospective city-founders hollering because they want to go a whole other route—one that’s blocked by the very river we diverted to clear our own perfect path. They would turn their noses up at our beautiful road to success and just keep squawking at us to build it their way. Ninety percent of the time, the AI was no problem at all, but the remaining minutes were spent quibbling with intractable citizens. We want $40 more – You’ll often see us complain that a game is too short—usually implying that it’s too short for the price… a bad value. From Dust is not a bad value. It is, however, too short. The story mode was so intriguing that we found ourselves yearning for a full retail version of From Dust. The trouble is, Ubisoft can’t fill in with DLC: once you’ve reached the end of the story, it would be anti-climactic to go back and play a “normal” level. And we certainly don’t want more challenges. Instead, we wish that Chahi had drawn out the story further and given us a bigger build-up to the incredible finale. 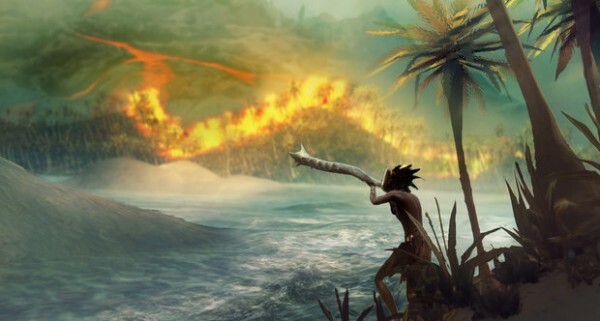 If you don’t like strategy games, this is probably not the one for you. Make no mistake that this is a game in which you manipulate the land in order to solve puzzles, advance a storyline, and complete challenges. It’s no action-adventure-RPG or puzzle platformer; it’s straight-up strategy gaming. If you think you might like From Dust, however, you are probably right. Fans of the strategy game genre have been eagerly awaiting this game and they will be rewarded with a beautiful gameplay experience.From Dust is bound to bring back fond memories of Sim City, Populous, and, yes, Lemmings. 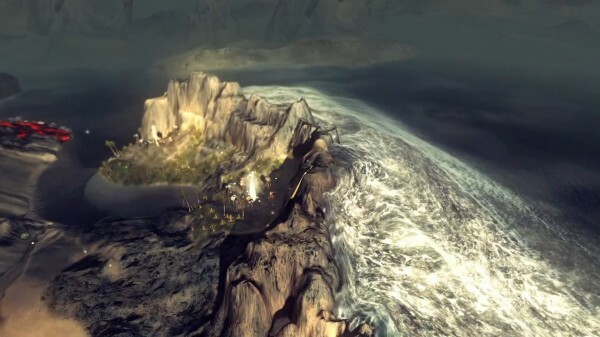 The challenge mode will only appeal to devoted strategy game aficionados, but the game’s main story mode is designed and executed with extreme care and truly raises the bar for geology-based physics. That might seem a strange and tenuous claim, but if it sounds like a dream come true, then welcome home. If that sounds weird and boring, well… you know what to do. Kaitlyn has been writing about games, gadgets, and puzzles since 2001. She currently resides in Boston, where she makes a living as a tech journalist and theatre director. She loves talking about the intersection of videogames, art, and education. Really. She'll talk about it all day.